All drivers must be over 18 years old at the time of rental. ※契約者（運転者）及び追加運転者の方とも必要です。 All drivers must present valid drivers license issued in Japan for all drivers at the time of rental. All drivers must present valid international drivers permit issued in your residence for all drivers at the time of rental. If you have valid drivers license issued in Switzerland, Germany, France, Taiwan, Belgium, Slovenia, Monaco, you need your license and a Japanese translation of the permit. All drivers must present valid international brand credit card at the time of rental. 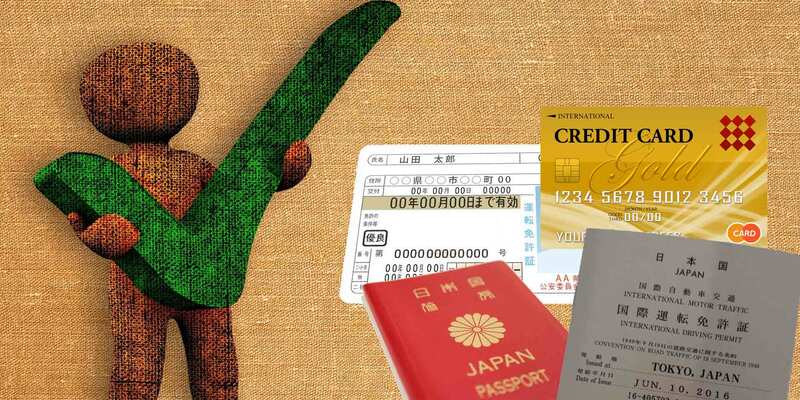 All drivers must present vaild passport at the time of rental, if you do not have valid drivers license issued in Japan.